Drive revenue with a rich learning experience. Today’s trade and professional associations are challenged to look beyond member dues for additional sources of revenue. Savvy organizations are strengthening their continuing education programs to generate growth. Annually, associations provide millions of workers across industries with access to critical skills training. These learning programs, continuing education units and certifications give individuals the knowledge they need to sustain and grow their careers. 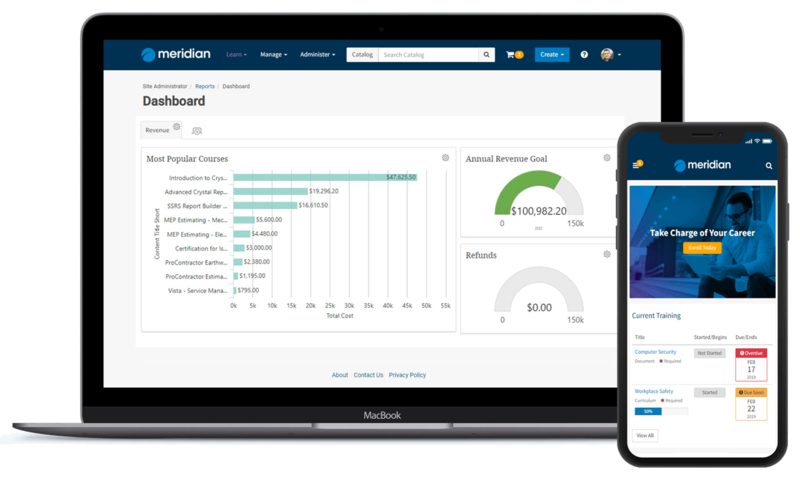 The Meridian LMS™ is ideal for member organizations who want to grow the revenue generated from their educational offerings.